A delicious green pesto which has the added benefits of being vegan friendly, as well as organic. 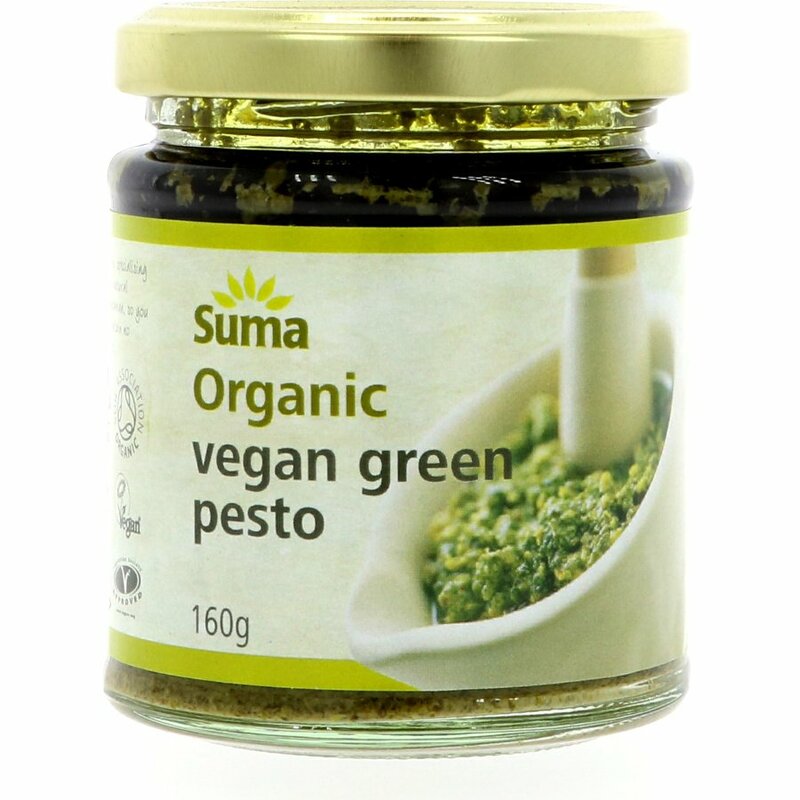 The Suma Vegan Green Pesto 160g product ethics are indicated below. To learn more about these product ethics and to see related products, follow the links below. Lovely and tasty. No nasties. Spicy. A lovely pesto. A regular buy for our household. Have only recently tried pesto and it is very tasty in both cooking on in a sandwich. 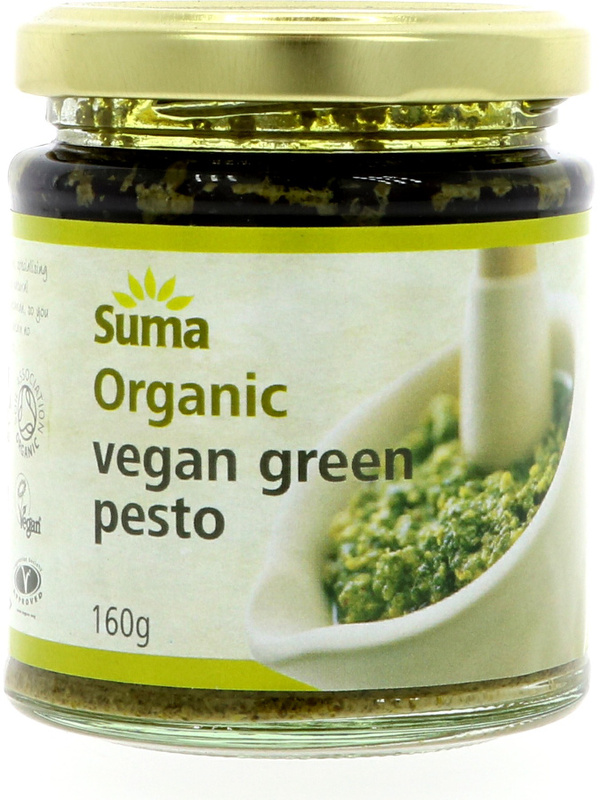 There are currently no questions to display about Suma Vegan Green Pesto 160g.